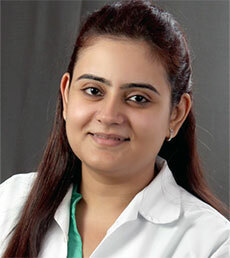 After completing her Masters in Neurorehabiliation from United Kingdom, Dr. Richa Patil has worked in a wide range of hospital physiotherapy departments, including Orthopedics, Outpatients, Neurology, Acute Neurosurgery, Intensive Trauma units, Medicine, Cardio respiratory, Intensive Cardiac Care units, Surgery, Burns and Plastic Surgery, Pediatrics, Medicine, Psychiatry, Woman's Health, Old Age Homes, and Schools for Mentally Disabled Children. She has also been instrumental in developing rehabilitation programs for the geriatric and cancer affected population. Dr. Richa also holds a prestigious certification in hydrotherapy which is a recent and much coveted form of therapy in new age India. She has worked for various charitable institutions like National Ankylosing Spondylitis Society, the National Back Pain Association and the Arthritis Care Group, all centered in the United Kingdom to meet the ever-growing need for quality healthcare for all. Dr. Richa is an advocate of the "client- centered module" of treatment administration, an avid reader and practitioner of the latest advances in physiotherapy.